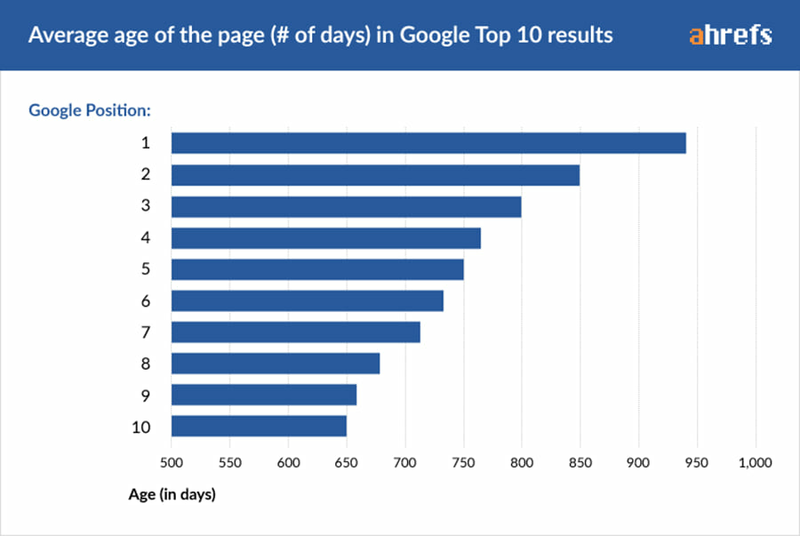 How long does it take for a page to rank in Google? The common response to this question is obviously, “It depends,” because there are just too many variables to consider: website strength, competition, budget, skills, etc. How old are the top-ranking pages? 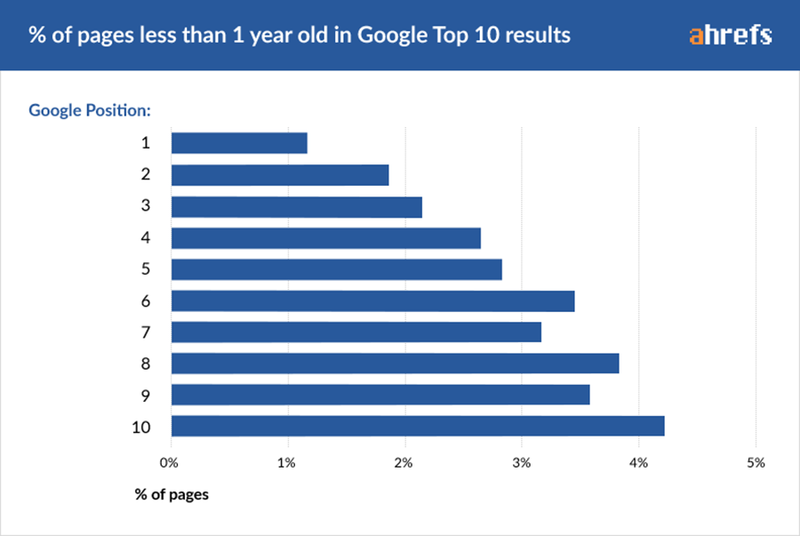 For starters, we identified how old the current top-ranking pages are. The “age” is calculated from the date when Ahrefs crawlers first saw the page. But since we crawl the web at a pretty staggering speed, the actual age of the page should be very close, if not identical, to our records. As you can tell from this graph, the average Top10 ranking page is 2+ years old. And those that rank at position #1 are almost 3 years old (on average). This doesn’t look too promising, right? The SERP is clearly dominated by “old” pages. To answer this question, we randomly selected 2 million pages that were first seen by Ahrefs crawler a year ago. We then tracked the position history of each page for any keyword it’s ranked for. 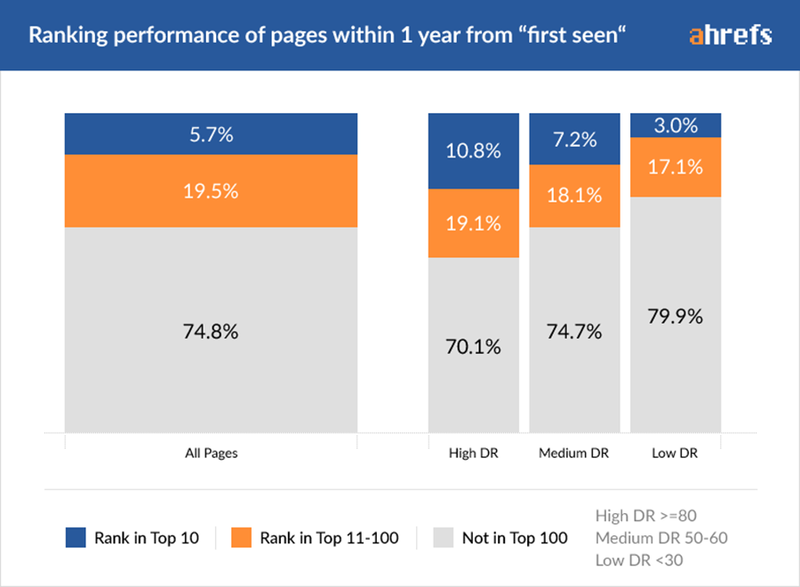 Only 5.7% of all studied pages ranked in the Top10 search results within 1 year for at least 1 keyword. Pages from websites with a high Domain Rating (DR) performed way better than those with a low DR. Which shouldn’t come as a surprise, because Ahrefs’ Domain Rating metric (shows the strength of a website’s backlink profile) correlates well with Google rankings. We then zoomed into these 5.7% of “lucky” pages to see how quickly they got from nowhere to the Top10. The majority of them managed to achieve that in approximately 61 to 182 days. 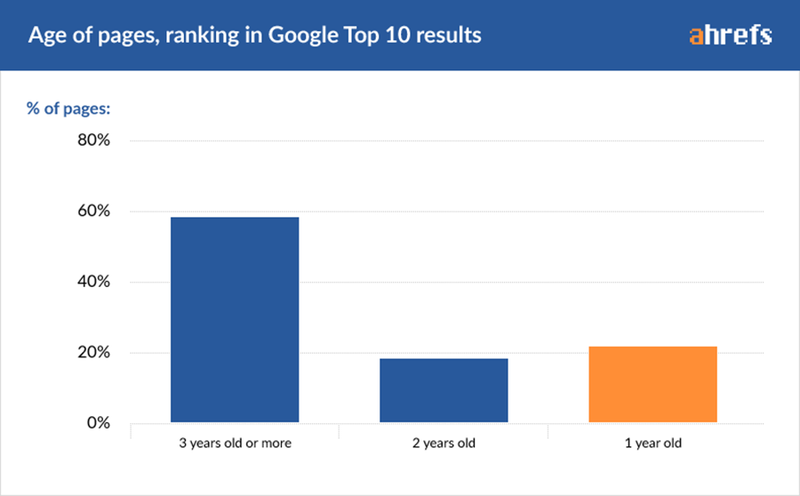 By looking at this graph, you might think that, on average, it takes a page anywhere from 2 to 6 months to rank in Google’s Top10. 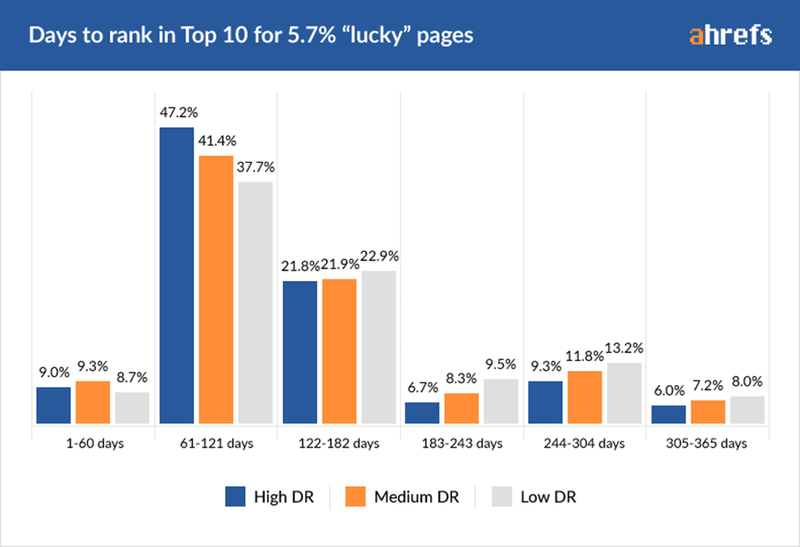 But that conclusion isn’t valid here, because this data only represents the 5.7% of pages that were lucky enough to rank in the Top10 within a year — while almost 95% of all the pages we studied didn’t make it to the Top10 within that timeframe.